The Lake County Board approved a balanced budget at its November meeting. The FY19 operating budget—which funds the County’s day-to-day operations—is $3.3 million less than last year (or 1%). In an effort to provide some relief to taxpayers, this budget does not take the allowable property tax levy increase based on the Consumer Price Index. This keeps $3.4 million in taxpayers’ pockets. The only increase in property tax revenue will come from growth on new property. It’s important to remember that Lake County receives revenue from a variety of sources. Lake County’s portion of your property tax payment is about 7%. The rest goes to other taxing bodies, including municipalities, townships, park districts and schools – with schools getting about 69% of your property tax payment. See exactly where your property tax dollars are going by visiting our Property Tax Distribution website. Lake County’s budget invests in many service areas, from transportation and public safety to health and economic development/jobs. The County Board is committed to fiscal responsibility and delivering cost-effective, efficient services. As a result, the County has implemented operational efficiencies, leveraged technology and cut costs by sharing services between governments, which has made a difference to our bottom line. Lake County government has maintained a AAA credit rating (the highest possible) for more than 20 years due to our strong budgetary performance and well-managed financial operations, along with our strong financial policies and practices, healthy reserves and manageable debt. To read the budget and learn more about County services and programs, visit www.lakecountyil.gov/budget. The Lake County Sheriff’s Office is conducting extra traffic safety patrols during the Thanksgiving holiday now through Nov. 26. Thanksgiving can be one of the deadliest times on roadways because of impaired and/or distracted drivers, speeders and seat belt violators. The Sheriff's Office is doing their part to ensure everyone makes it to the table this Thanksgiving. Are you heading out of town for Thanksgiving? Do you receive law enforcement services from the Lake County Sheriff's Office? Contact the Lake County Sheriff's Office 911 Communications Center at 847-549-5200 and request a House Watch. The holiday season is among us and it’s that time of year where we take the family out to see the bright lights! Lucky for all of us in Lake County, there are plenty of holiday trees around the area decked in festive illumination. View the list of Lake County’s tree lighting ceremonies. The Stormwater Management Commission has hidden four geocaches (boxes) around Lake County to teach you about stormwater best management practices and introduce you to a few of the beautiful areas our county has to offer! Inside each box, find information about your current location, a question you must answer, and coordinates to the next location. Visit the geocaching website to get coordinates to the first location. Once you have them, you can put them into any map application. 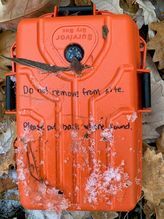 Geocaches can be located up to 30 feet from the posted coordinates. As with any good treasure hunt, there’s a prize. Visit all four sites and correctly answer the questions at each location to win an SMC geocoin. Please note there are a limited number of geocoins. Water is a critical resource in our lives and the Lake County Stormwater Management Commission (SMC) is committed to reducing flood damages and improving water quality. 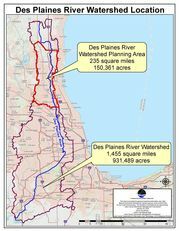 To specifically address water-related issues impacting communities within the Des Plaines River Watershed planning area, the County Board approved an ordinance to adopt the Des Plaines River Watershed-Based Plan as an amendment to the Lake County Comprehensive Stormwater Management Plan. The Watershed-Based Plan identifies more than 3,000 projects in the Des Plaines River Watershed that can improve water quality, reduce flood damage, protect and enhance natural resources, provide watershed education opportunities, and improve community cooperation and participation in watershed improvement activities. The Pace bus North Division in Lake County launched a new clean diesel fleet of 52 new buses which will replace the aging previous fleet from 2002 and 2003. Diesel provides more power and more fuel efficiency than alternative forms of energy. The County Board recognizes that a good transportation system is critical to supporting a high quality of life and economic growth. Environmental Stewardship is one of the core values in Lake County’s strategic plan, and improving transportation remains a top strategic goal of the County Board. Watch this video to learn more.